For the couple whose love story and nuptials are rooted in Atlanta, the city provides intriguing potential and endless possibilities for charting your wedding day photography. Continue reading "Atlanta, Georgia Wedding Photography Itinerary"
Although Minneapolis is a thriving metropolis, city planners have ensured that the urban atmosphere has not entirely encroached on the area’s pleasant green spots. Nature-loving brides and grooms can head out to the Chain of Lakes District, which offers 13 miles of gorgeous lakeside park land on the western side of Minneapolis. Wedding photography in this district can be as diverse as you want, incorporating waterfront scenery, an aviary, formal gardens, and the lush surrounding wilderness. Continue reading "Minneapolis, Minnesota Wedding Photography Itinerary | Nature"
Minneapolis is home to the only inhabited island on the Mississippi River: Nicollet Island. Whether you spend your Minneapolis wedding photography session exploring the island’s residential area or jaunting through the park with your bridal party, Nicollet Island is a prime setting to create beautiful pictures for your album. To get over to the island, cross the Merriam Street Bridge and catch a glimpse of the intricate ironwork that went into the bridge design. Stop on the bridge for some pretty group shots if the traffic is slow enough, you can even try to frame the group across the four square frames that the design creates. Continue reading "Minneapolis, Minnesota Wedding Photography Itinerary"
Minneapolis has a unique and beautiful history woven into its streets. Capture that vintage magic by making your Minneapolis wedding photography session a tour of some of the city’s most stunning historic hot spots. Start off in the St. Anthony Main neighborhood, or as the locals refer to it: “Nordeast.” Overlooking the great Mississippi River, the brick and stone setting has historic roots going back to the mid-19th century. Restoration efforts have filled the neighborhood with interesting restaurants and shops that make a fabulous backdrop for wedding photography shoots. Take some pictures street-side beside the old buildings, and then walk to the river to get some gorgeous waterfront shots. Continue reading "Wedding Photography in Minneapolis, Minnesota"
What is dreamier than riding in a carriage through a beautiful historic downtown district, holding hands under a blanket or kissing beneath the moonlight? 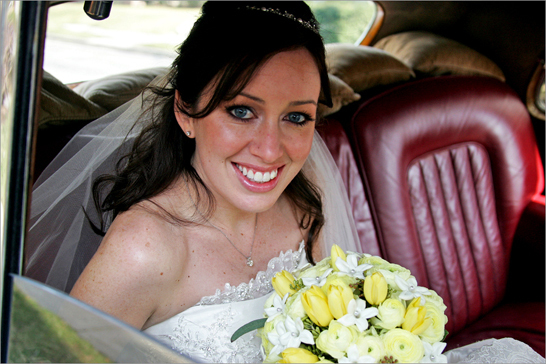 Start off your Annapolis wedding photography session with a memorable ride in one of the city’s horse-drawn carriages. Your wedding party can hang behind while you and your beau embark on a romantic trot past historic colonial era homes, or bring the whole group along in one of the wagonettes. Your wedding photographer can ride alongside you and your group and take some great candid shots of you sipping hot chocolate or champagne as you are chauffeured about the city. A kissing shot is a must in the back of any horse-drawn carriage, so pucker up to your new spouse and let your photographer capture your love on film (or digital). 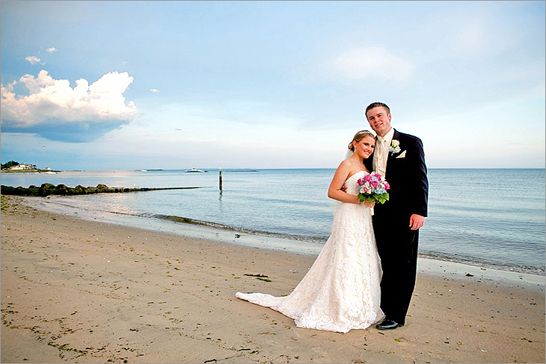 Continue reading "Annapolis, Maryland Wedding Photography Itinerary"
Seattle is the center of a great, thriving metropolitan area that combines business, residence, industry, and nature – but it is only the center. Hundreds of thousands of people live, work, and get married in the suburbs beyond the city limits. If you’re looking for a spectacular site for photos of your wedding day a little closer to where you live, without fighting the city’s notorious traffic jams, here are some options to consider. Continue reading "Seattle, Washington Wedding Photography Itinerary | Suburbs"
Philadelphia, the Birthplace of America, is loaded with plentiful picturesque locales for your wedding photo session. Historic haunts, stately museums and spacious parks make up the city’s vast & varied landscape. Below are a few favorite spots for capturing your special day. Continue reading " Wedding Photography Ideas for Philadelphia, PA | The Old City"
Class and culture collide in Dallas to offer you an exciting array of possibilities for your wedding day photography session. Let the city and its history provide the backdrop for your photos as you celebrate this momentous day! Continue reading "Dallas, Texas Wedding Photography Itinerary"
For the contemporary couple whose nuptials are rooted in Cleveland, let the city and surrounding area provide the backdrop for your wedding day photo itinerary. With its modern ambiance and distinctive cultural flair, Cleveland promises an unforgettable photography session to celebrate this memorable day! Continue reading "Cleveland, Ohio Wedding Photography Itinerary"
Nestled along the waterfront, Fells Point is a cobblestoned gem that recalls seaside villages from long ago. Take your wedding party along to this quaint, small-town neighborhood for a Baltimore wedding photography shoot to celebrate your very special day. The neighborhood has a vast array of eclectic shops and restaurants, so you may want to stop in a few along the way to browse when it’s not your turn to pose and smile. White and ivory gowns will look striking against the neighborhood’s colorful row houses, and your bridesmaid dresses will pop against the clean blue at the water’s edge. 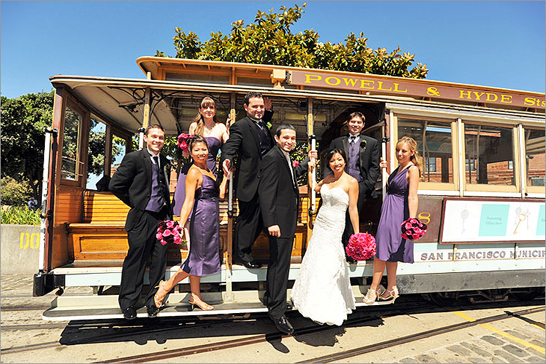 In tuxes and fancy dresses, you and your wedding party will fit right in with the old fashioned setting. 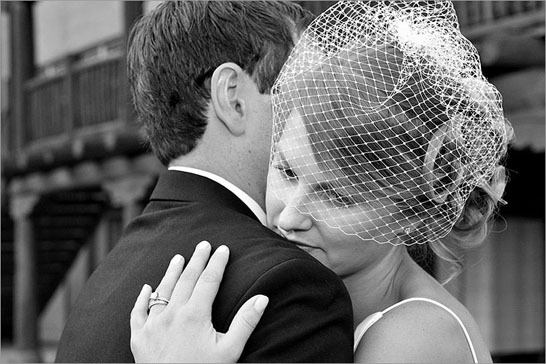 Your wedding photographer can frame beautifully crafted antique-looking shots, and then print them in black and white or sepia tones to add a unique effect. Continue reading "Baltimore, Maryland Wedding Photography Itinerary"
Get your wedding photography done in a manner befitting British nobility without ever leaving Richmond. Agecroft Hall and the Virginia House sit in close proximity to one another off of Sulgrave Road on the James River, and their grounds are home to some of the most stunning gardens in the city, as well as two romantic English manor houses. Both houses were recreated using authentic materials brought over from England and the grounds were modeled after the manicured style of the more pleasant British gardens. Continue reading "Richmond, Virginia Wedding Photography Itinerary"
A stone’s throw away from the National Mall, the Smithsonian Hirsshorn Sculpture Garden off Jefferson Drive is an oasis of art. The garden does not allow photographers to bring in tripods, but that should not stop you from starting your photo session there. With sculptures by famous sculptors settling in between the shaded grassy areas, this garden is an idyllic backdrop for your Washington DC wedding photography. Continue reading "Washington DC Wedding Photography Itinerary | Hidden Gems"
Lake Michigan defines Milwaukee. When the city was founded, the water the reason for its existence. More than 150 years later, Milwaukee mostly uses the lake to play – it has become the place where the city jogs, bikes, walks dogs, watches fireworks, hears concerts, and generally lives fully. Continue reading "Milwaukee, Wisconsin Wedding Photography Itinerary"
Washington D.C. wedding photography can provide unexpectedly remarkable urban backdrops that will integrate seamlessly into your wedding album. Continue reading "Washington DC Wedding Photography Itinerary"
Dallas is an inherently American city that provides an exciting blend of young, invigorating culture with old world class. 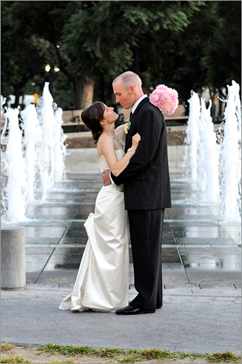 Dallas offers diverse and exciting possibilities for your wedding day photo itinerary. Continue reading "Wedding Photography in Dallas, Texas"
Start off your wedding photography session at the stylish Westin Book-Cadillac Hotel, one of the Detroit’s eminent luxury hotels. Have your wedding photographer take some portraits of the bridal party by the mini park plaza across the street, with the towering Westin in the background. You and your party can then pose in front of the hotel’s elegant glass doors for both group and individual photos. Afterward, venture inside and take some photos inside the chic lobby. The bridal party can take some relaxed photos lounging on the comfortable furniture or scattered along the grand marble staircase. Continue reading "Wedding Photography in Detroit, Michigan"
One of the most beautiful cities in the New England area, New Haven is a charming place to have your wedding photography session. Continue reading "Wedding Photography in New Haven, Connecticut"
Known informally as the home of the South, Atlanta is one of the most diverse and populous capital cities in the entire country. A booming cultural and financial metropolis, Atlanta will make a great location for your wedding day photography session. Continue reading "Wedding Photography in Atlanta, Georgia"
The attractive Indiana State House, in the heart of Indianapolis, is the perfect spot for a brief but beautiful Indianapolis wedding photography shoot. The ornate classical architecture provides a stark contrast to the clean lines of the surrounding city buildings. You and your wedding photographer will have a ball coming up with staged shots on the lengthy staircase and in front of the building’s stately columns and massive copper dome. 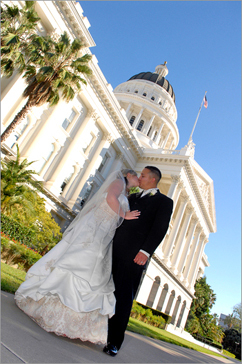 Your wedding party can line the stairs as you and your new hubby descend the steps, or you can try for some elegant couple shots by one of the stone balustrades in the capitol’s front courtyard. 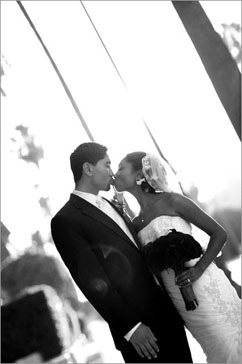 Finish your shoot and cap off your evening with a romantic smooch picture under the bride’s veil. Who says you need to have all day to create a phenomenal wedding album? 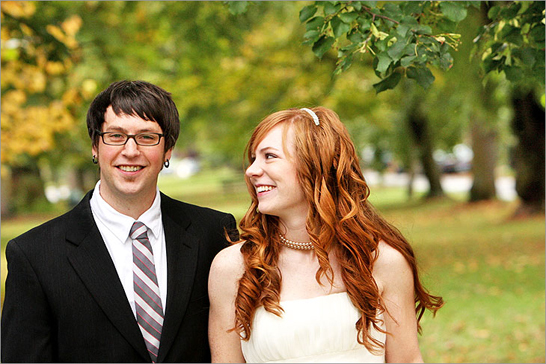 Continue reading "Indianapolis, Indiana Wedding Photography Itinerary"
Your wedding day is arguably the most romantic day of your life, and it’s easy to bring that intimacy to your Indianapolis wedding photography session. Begin your photo shoot at Indy’s famed Canal Walk, which twists and turns along three miles of the city’s canal. There are plenty of surprises along the way, including waterfalls, restored 19th century bridges, gardens, and even murals from local artists. You don’t have to hike the entire trail to find amazing backdrops; pop onto the trail at any point and your photographer will be able to stage some great photos. Catch some silhouetted shots of you and your beau walking down the lush pathway, or get a group picture of the couple with their attendants lined up across one of the picturesque bridges. Continue reading "Wedding Photography in Indianapolis, Indiana"
Whether you were born and raised in Maryland or you are a happy transplant, Annapolis wedding photography offers plenty of opportunities for you to incorporate your state pride. Start your session at the elegant Maryland State House in the middle of the historic downtown area. In the late 18th century, this building briefly housed the Continental Congress, and it is the very location in which Congressmen ratified the Treaty of Paris, ending the Revolutionary War. The building’s architecture is beautifully classical, with white columns and a gorgeous stacked dome. 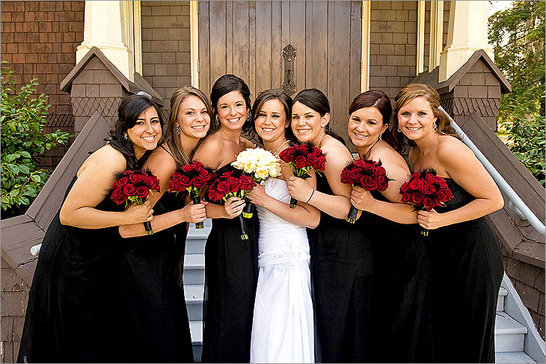 Pose for portraits with your entire wedding party beneath the portico, or get some couple shots against the columns. Continue reading "Wedding Photography in Annapolis, Maryland"
Baltimore’s Federal Hill neighborhood, with its intriguing history and antiquated 19th century brick homes, is a wonderful setting to start off your Baltimore wedding photography shoot. Grab some lunch or some colorful drinks at one of the neighborhood’s popular restaurants while your wedding photographer documents the occasion. Walk arm-in-arm with your bridal party down the brick-paved sidewalks, taking time to pose for fun pictures in between window-shopping. Continue reading "Wedding Photography in Baltimore, Maryland | Federal Hill"
Pittsburgh’s North Shore area is a fast-rising, favorite spot for enchanting wedding photography. This area has it all: sweeping sports venues, spacious streets, a lively art scene, historic bridges and the storied Allegheny River. Your snapshots can include the city’s fabled downtown “Golden Triangle” area, too! The Steel City’s Cultural District is situated directly across the river. Continue reading "Wedding Photography in Pittsburgh, Pennsylvania | North Shore"
Philadelphia has plentiful photogenic backdrops for even the most discerning wedding day photoshoot. Elegant architecture, historical locales and secluded spots – it’s all here, right in the Birthplace of America. Try out these convenient itineraries for your photography session – each one represents the perfect way to capture your unforgettable day! Continue reading "Philadelphia, Pennsylvania Wedding Photography Itinerary"
Do wedding photos in the heart of Milwaukee’s former brawny, gritty industrial district seem like a strange idea? They shouldn’t. The Menomonee Valley has seen sweeping changes in the last decade or so as the area has spruced up to welcome tourists, but enough of the old atmosphere remains to give the photos of your big day a unique edge here. Continue reading "Milwaukee, Wisconsin | Unique Wedding Photography Ideas"
Cleveland Wedding Day Photos First on your wedding day photo itinerary is Wendy Park, a lush wildlife sanctuary in the northeast corner of Whiskey Island. Flanked by Lake Erie and the Cuyahoga River, Wendy Park provides the height of natural peace and tranquility to begin your wedding photo shoot. This twenty-two acre park is named for Wendy Moore, Cleveland native who frequently retreated to this part of Whiskey Island where she applied her artistic impulses to preserving the beauty of the wilderness through photography. As you take in the beauty and the awe that distinguish this special location within the heart of Cleveland, allow your photographer to apply his or her own artistic perspective to creating the ideal poses for your wedding photography. Continue reading "Wedding Photography in Cleveland, Ohio"
Pittsburgh is one of America’s Most Livable Cities – and a photogenic marvel as well, thanks to picturesque landscapes, rolling woodland valleys and idyllic riverside scenery. 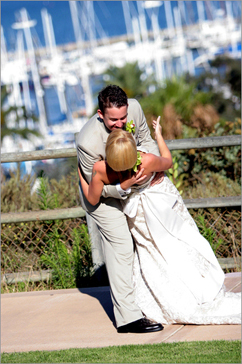 You and your spouse will find an abundant array of memorable wedding picture spots. Perhaps best of all, the Steel City has relatively compact city limits – your photography session can contain multiple locales if one area simply won’t do. Whether you’re looking for a distinct urban vibe, natural scenery or a mix of both, Pittsburgh is a picture lover’s dream! Continue reading "Pittsburgh, Pennsylvania Wedding Photography Itinerary"
Where it's located: Enter at 3501 New York Ave. Continue reading "Washington DC Wedding Photo Ideas"
The city of Chicago is many things. It's diverse. It's metropolitan. And sure, it can be windy. Accordingly, Chicagoans and visitors alike can find numerous opportunities for ideal places and backdrops for beautiful wedding photography. Continue reading "Wedding Photos at Chicago's Millenium Park"
Continue reading "Wedding Photography in Washington, DC"
Continue reading "Wedding Photography in Stamford, Connecticut"
Continue reading "Wedding Photography in Seattle, Washington"
Virginia contains a number of premier higher-learning institutions and the state’s capitol, in particular, is proud home to the University of Richmond. A small liberal arts college, the University of Richmond offers a beautiful campus that will work perfectly for your wedding day photography session. 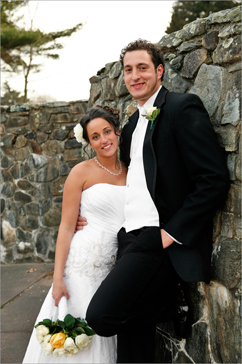 Continue reading "Wedding Photography in Richmond, Virginia"
Providence, Rhode Island is one of the most popular cities for wedding photography in the New England area and it contains countless scenic locations for your wedding photography session. 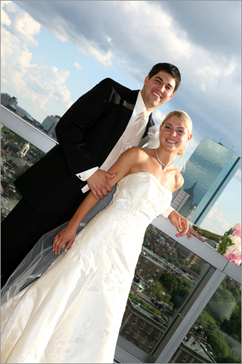 Begin your photo shoot at the luxurious Renaissance Providence Hotel. 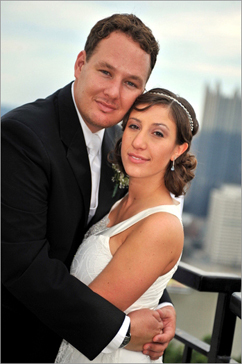 Continue reading "Wedding Photography in Providence, Rhode Island"
Dubbed “The Steel City” for its historic importance in the American steel industry, Pittsburgh offers an urban setting with numerous scenic locations for your wedding photography session. Continue reading "Wedding Photography in Pittsburgh, Pennsylvania"
One of America‘s most historic places, the Benjamin Franklin Parkway in Philadelphia boasts countless picture-perfect places for your wedding photography session. 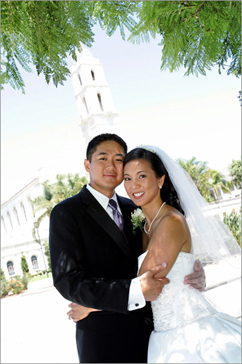 Begin your photo shoot at the gorgeous Cathedral Basilica of St. Peter and Paul. 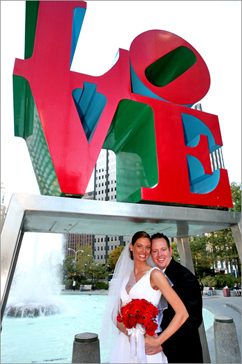 Continue reading "Wedding Photography in Philadelphia, Pennsylvania"
Newark’s downtown area contains some of the New Jersey’s most famous historic landmarks, making it an ideal place for your wedding photography session. Continue reading "Wedding Photography in Newark, New Jersey"
Continue reading "Wedding Photography in Denver, Colorado"
Baltimore’s Inner Harbor is one of the city’s most beautiful areas and a perfect location for your wedding photography session. Begin your photography shoot at Harborplace and the Gallery on Pratt Street, the cultural center of the Inner Harbor. 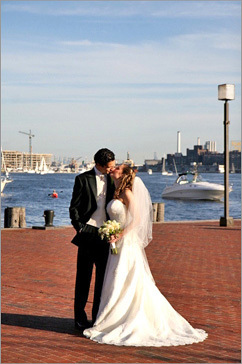 Continue reading "Wedding Photography in Baltimore, Maryland"
A region well-known for its importance in America‘s early history, the Boston Harbor area offers a myriad of gorgeous locations that are great for wedding day photography shoots. Continue reading "Wedding Photography in Boston, Massachusetts"
Often dubbed “A Genuine American City,” Milwaukee blends the friendly ambience of the Midwest with the modernity of the big city. In this cultural center of Wisconsin, you’ll find countless beautiful places for your wedding photography session. 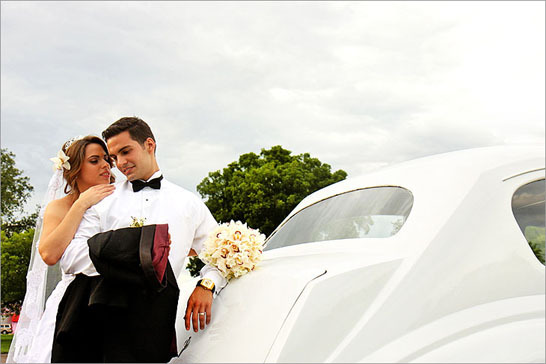 Continue reading "Wedding Photography in Milwaukee, Wisconsin"
Continue reading "Wedding Photography in Miami, Florida"